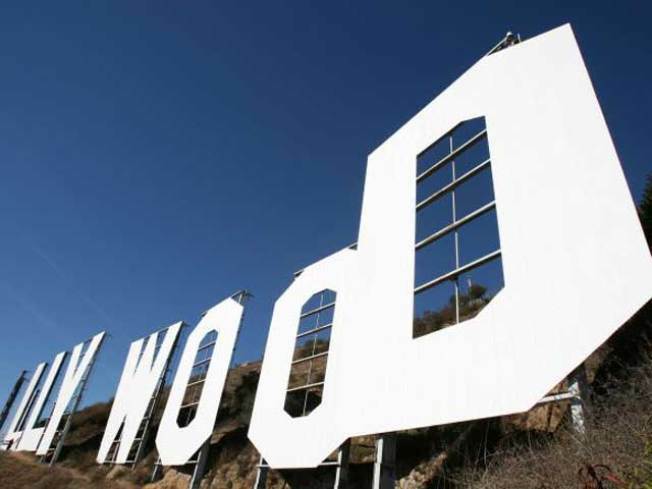 A supergraphics firm will pay $12.5 million to help save land near the Hollywood sign. But there's a catch. The city must agree to settle a lawsuit involving the firm's signs. SkyTag, a Beverly Hills company, has about 20 multi-story ads draped on the sides of buildings around LA. The firm is involved in a legal dispute over its signs in Westwood, Koreatown and other locations. If the city agrees to leave SkyTag's signs in place, the firm says it will provide the money to help protect Cahuenga Peak from development. Preservationists have launched a "Save the Peak" effort to raise funds to buy the land, just west of the Hollywood sign, and protect it from development. "We're not going to trade off beautification in one place for the visual decay of another," Councilman Eric Garcetti told the LA Times. In December, a federal judge blocked LA from removing SkyTag's supergraphics. The firm argued that the city's ban on the giant ads is unconstitutional. Speaking of giant ads -- the Hollywood sign used to be the Hollywoodland sign, which was basically a supergraphic ad for the Hollywoodland housing development. It has since graduated to icon status, and preservationists argue that building houses on the 138 acres to the west would ruin a world-famous view. The parcel to the west, once purchased by Howard Hughes for his love interest Ginger Rogers, was quietly sold to a private investment group in 2002. The group had it zoned into home sites for a handful of potentially palatial estates with incredible views of the city. The offer can probably be refused -- fundraisers are getting closer to their target. The Trust for Public Land announced Thursday that it has raised $9.45 million through its "Save the Peak" campaign. The Trust needs $12.5 million by April 14 when its option to buy the land expires.